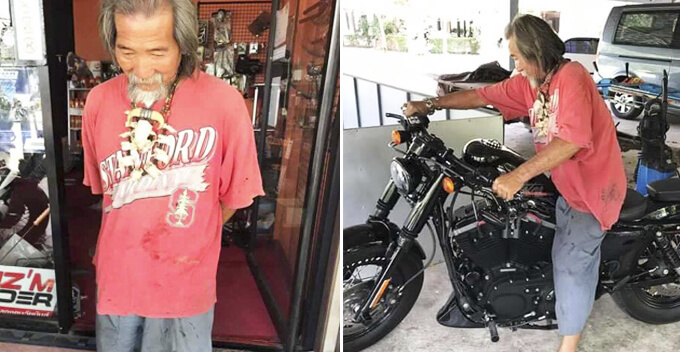 Just recently, a netizen named Ismail Ariffin shared on his Facebook page about how his friend, Zainal Abidin was judged by the staff at a famous luxury boutique in KLCC. Apparently, they were treated like ‘dogs’ because their clothes were a little too casual. It was understood that Zainal had bought the Louis Vuitton bag three days ago and he brought it to the shop in KLCC to request the staff to emboss his name on it. However, his request was denied because the staff was worried that they may damage the bag. 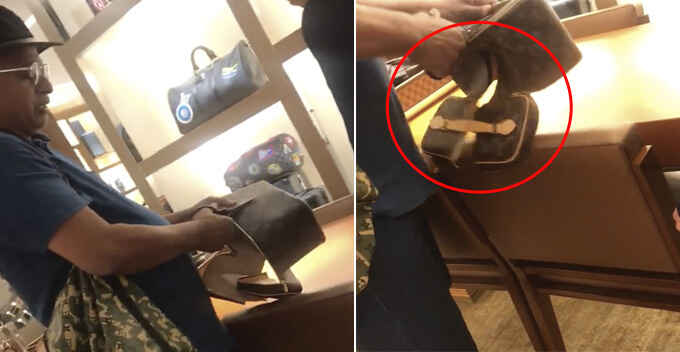 Zainal was angered by the staff’s attitude so he requested for a pair of scissors and started cutting the Louis Vuitton bag right in front of the worker. “They think their LV bags are greater than our dignity,” he added. 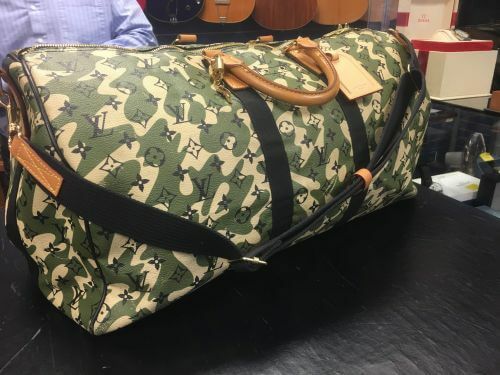 FYI, the duffle bag Zainal was carrying in the video is a Louis Vuitton x Takashi Murakami Monogramoflauge Duffle Bag, which costs over USD$7,000 (approx. RM28,470)! As expected, this video garnered a lot of attention with most netizens cheering for the duo. Many also shared their experience of being judged by retail staff, especially when entering high-end stores. 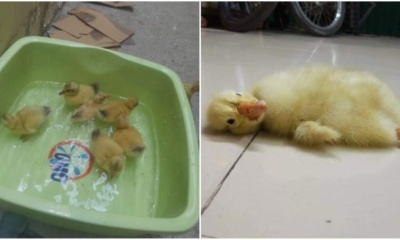 “Some of the workers act as if they are the shop owner when in reality, they’re only making minimum wage,” a netizen said. “I was told before that some fashion boutiques would ask their employees to ‘scan’ the customers so that they would feel challenged and end up spending more money at the shop,” another netizen commented. However, an anonymous source told WORLD OF BUZZ that the staff had initially tried explaining to the customers that the bag couldn’t be embossed due to its material, which may have resulted in the miscommunication. What do you think about this issue? Let us know in the comments!